As editors, we are responsible for sifting through all the biggest seasonal looks and narrowing down the ones worth shopping. While we're always excited to incorporate of-the-moment pieces—you know the ones taking over the street style scene—into our roundups and, eventually, our own looks, it's more practical to forecast the trends and products that feel fresh now but will still be in style much, much later. In short, longevity matters. To test out the biggest looks from the S/S 19 runways without fully committing, we sourced Charles & Keith, our go-to retailer for all accessories. Our favorite options? Creamy beige bags, embellished shoes, and art-pop earrings as well as timeless staples. Get ahead of the curve with the below pieces and thank us in the spring when you don't have to do any extra shopping. We love this shape and color for both fall and spring. Oval-frame lenses aren't going anywhere. Update your "ugly" sneakers with this less polarizing trend. The perfect mix of boho and sleek. We predict PVC accessories will still be going strong next season. It's time to give your gold hoops a break and try out these equally easy to wear (but less overdone) danglers. A timeless shape gets a big edgier thanks to these tassels. If you've yet to invest in classic white sneakers, we highly recommend this under-$100 pair. Dressing up jeans and a T-shirt has never been easier. Just in time for all your holiday parties but perfect for any time of year, this showstopping clutch will be your new night-out go-to. These shoes are here to prove that the shearling trend isn't just reserved for jackets. From the colors to the shape, these art-inspired earrings will be the hero items of your next ensemble. The buckle on these slingbacks instantly takes them from chic to head-turning. The mustard hue lends an extra punch to this otherwise classic box shape. A belt is an easy to way to literally pull a look together. Opt for this black option with gold accents. Give your purse an upgrade with this mini, pearl-embellished strap. Tassels, feathering, and details will be huge come S/S 19. Get a jump start on the trend with these glittery fringe mules. 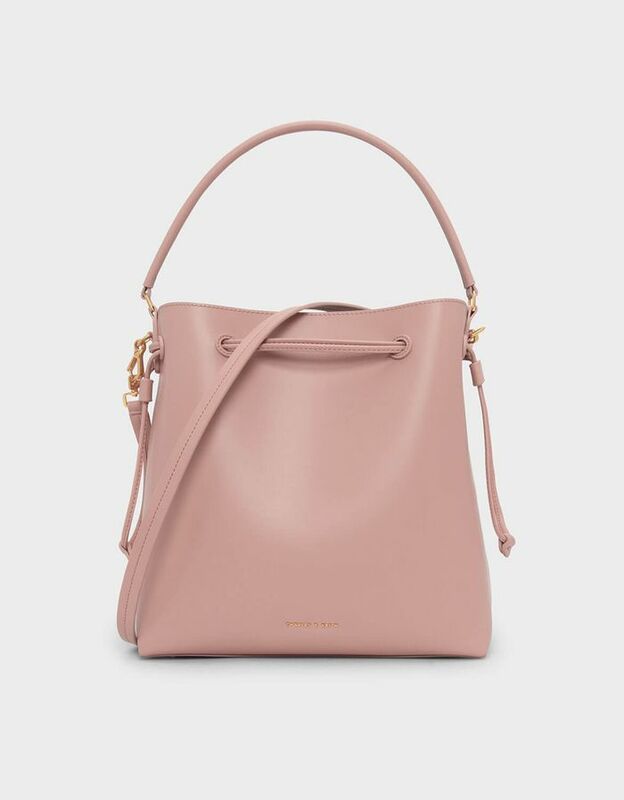 Neutrals, like this classic structured tote, will be huge come S/S 19. The '80s trend is here to stay. Feel free to opt for these metallic fuchsia pumps instead of shoulder pads. We love this tied over a blazer or jacket in the fall and a midi dress in the spring. The cut and color of these shoes make them a more updated take on your classic pumps. Stackable rings that are both dainty and bold. A neutral chain-strap option with a slight curve on top that really stands out from the crowd. We're trading in our old white shoes for this studded pair. Crocodile print is a timeless alternative to a plain leather bag. Swap out your aviators for these geometric frames. Western-inspired accents will still be huge come spring. Channel them with this subtle woven tote. Don't just think browns and whites when it comes to neutrals. Forest green is a great color to pair with just about everything.